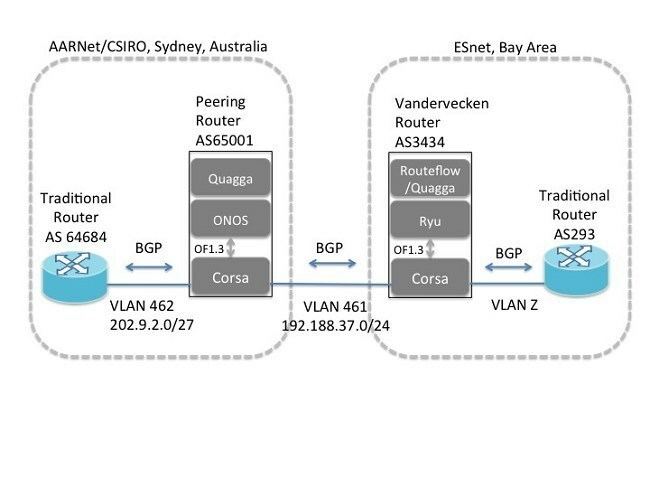 A team of open source networking industry players successfully implemented a software-defined networking (SDN) proof of concept by deploying a peering router between Australia and the United States. "This deployment validates the benefits of open source SDN principles to flexibly deliver agile applications at a fraction of the cost of traditional proprietary networking solutions," the group said in a news release yesterday. "Successfully deploying carrier-grade SDN applications with control and data planes capable of running at Internet-scale capacity in the WAN using disparate SDN systems represents an important milestone for the networking industry." 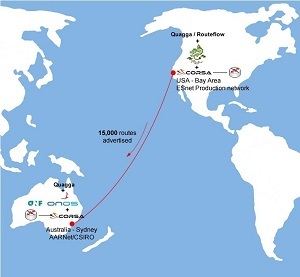 The SDN project involved a host of collaborators, including: the Open Networking Operating System (ONOS) Project, the Open Networking Foundation (ONF), Corsa Technology Inc., the Energy Sciences Network (ESnet), AARNet Pty Ltd and the Commonwealth Scientific and Industrial Research Organization (CSIRO). They successfully deployed an ONOS-based SDN peering router hosted by AARNet and CSIRO in Australia that communicates with a Vandervecken SDN controller stack housed at ESnet in California. The group said both locations leveraged high-performance data planes comprising Corsa switches. [Click on image for larger view. ]Bridging Continents (source: ON.Lab). "The deployed SDN-based peering router, developed by ONF and the ONOS Project, is a free, open source application built on ONOS and is currently available for download from the ONOS Project Web site," the coalition said. "It enables SDN networks to seamlessly interact with software-defined and traditional (non-SDN) networks by peering with one another to advertise, collect and exchange routes using eBGP. The peering application receives route advertisements from peers, resolves next hops and then programs the OpenFlow switch in the SDN data plane through ONOS." The project is the latest example of proof-of-concept initiatives in the young SDN movement that some say is known more for its hype and promise and actual real-world use cases. 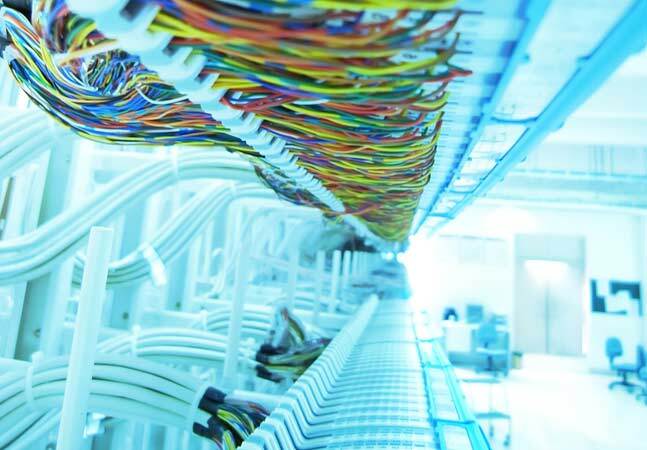 Along with a recent Internet2 effort to establish "the first nationwide, multi-tenant SDN-powered virtualized network capability," such projects show how the upstart technology is maturing. [Click on image for larger view. ]The Technology Setup (source: ON.Lab). The coalition's news release provides the technical details of the implementation. 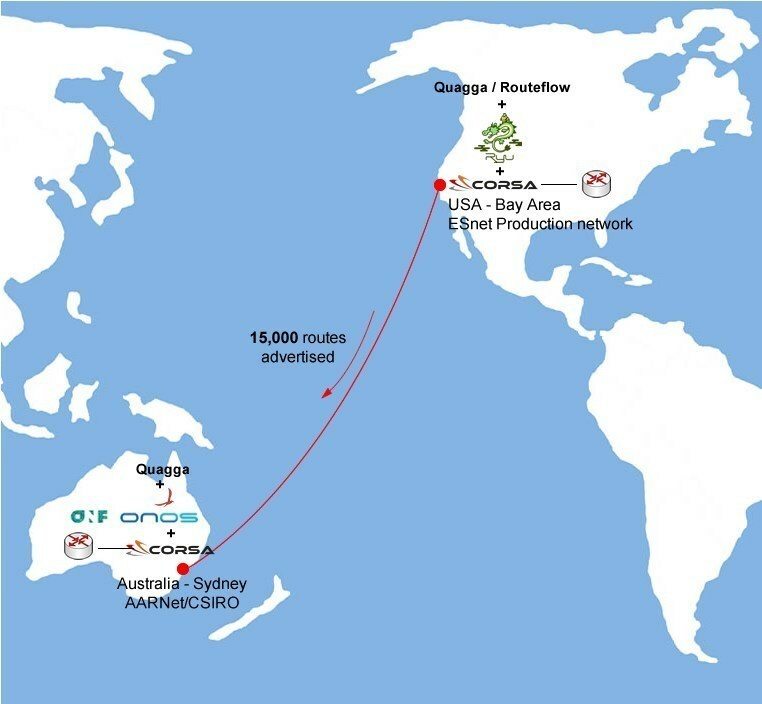 "Having successfully exchanged 15,000 routes in this deployment reflecting true Internet scale and 100,000 routes in lab tests, it was programming the data plane with large forwarding tables that presented the real technical challenge here," said exec Bill Snow at ON.Lab, the non-profit steward of ONOS development. "This operation has been up and running for over a month now, so it is no longer a question of whether SDN control planes can be deployed to support worldwide infrastructure. With ONOS' support for high availability, scale and performance and with Corsa's high-performance, programmable data plane, the promise of SDN is turning into reality. An SDN control plane that readily interoperates with existing infrastructure, whether traditional or software-defined, is the key to providing a migration path from legacy systems, as well as a roadmap to pure SDN infrastructure."